Originally from Mexico, N.Y. (just south of Texas, N.Y.), seasoned professional Carrie Giverson brings comprehensive experience in restaurants, nightlife and hospitality to her role as vice president for one7 communications. 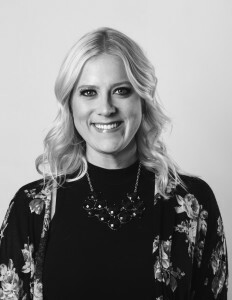 Giverson oversees the Las Vegas office and Los Angeles satellite and is responsible for leading the account teams, managing team workflow, developing targeted marketing communications and public relations strategies, media relations, event management and social media council. She also oversees the day-to-day communications with clients (current and past), including Emeril Lagasse’s Table 10 restaurant, STK Las Vegas, Block 16 Hospitality Group, MCC Hospitality Group, Epicurean Charitable Foundation (ECF), the Frank Gehry-designed Keep Memory Alive Event Center, Bribor Corporate (Alex and Ani, Pandora), Lyft, NuLeaf, The Gramercy and The Lennox. Giverson knows the importance of solid media relationships and a proven record of working hard to garner and maintain them. She has successfully placed clients in publications and on sites including Chilled Magazine, BizBash, Thrillist, UrbanDaddy, USA Today, Food & Wine, In Touch, Forbes, DuJour, Prevue Magazine, FoodNetwork.com, Vegas Magazine, LV Weekly, Las Vegas Review Journal, LA Times, and many more. Through constant networking and participation within the community, Giverson has brought several integrated marketing partnerships into the company, including opportunities with Lyft, Yelp, TAO Beach, Azure Luxury Pool, The Cosmopolitan Resort, Best Mattress, PANDORA jewelry and several others. Previously joining one7 communications, Giverson served as marketing manager for the renowned TAO Group, securing, managing and cultivating strategic partnerships with major convention groups, as well as identifying emerging marketing opportunities for the restaurants, TAO Asian Bistro and LAVO Italian Restaurant. After graduating from Ohio Northern University with a bachelor of arts specializing in public relations and minors in marketing and German, Giverson bought a one-way ticket to Las Vegas and has fallen in love with the uniqueness of Sin City. Giverson is always up-to-date on the latest viral cat videos and memes and anything pop culture.